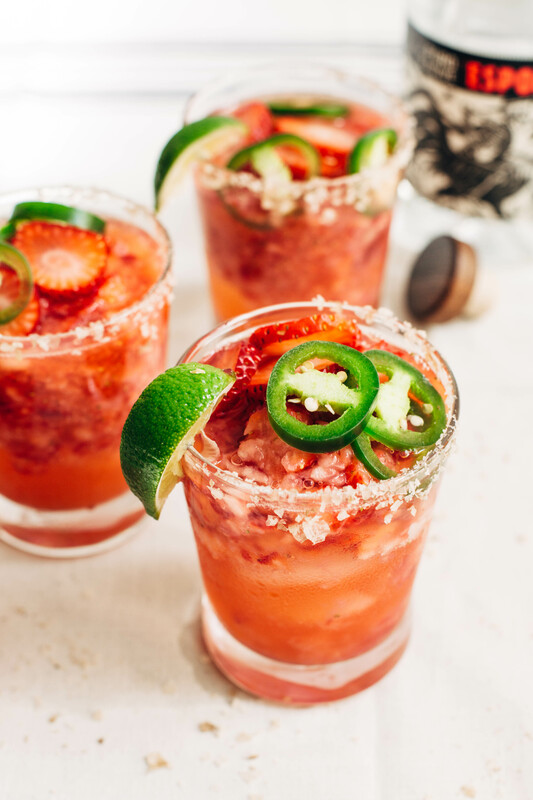 With Cinco de Mayo right around the corner, I decided it was time we gave the classic strawberry margarita a twist. 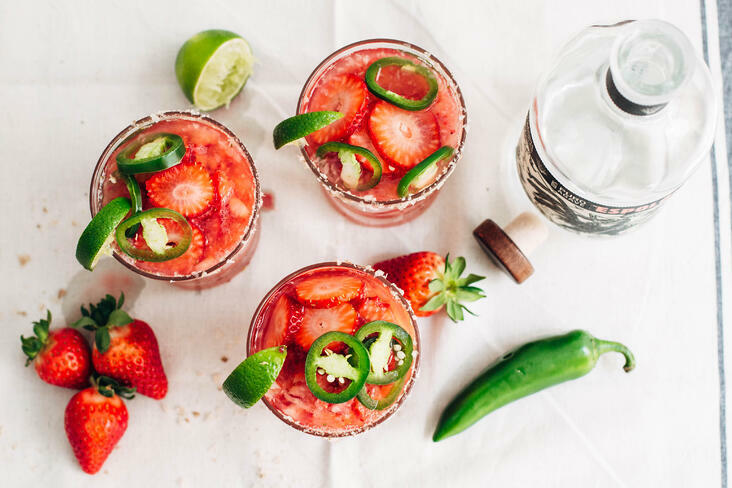 Enter the strawberry jalapeno margarita. 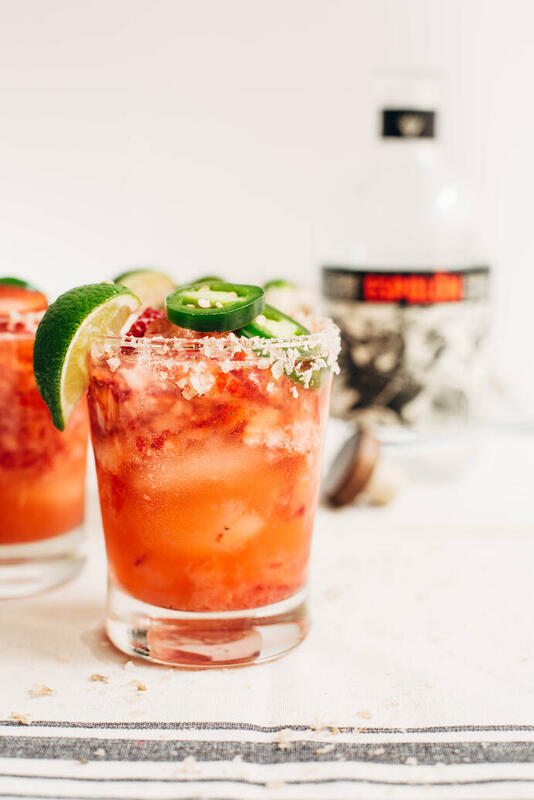 The combination of spicy jalapenos and sweet strawberries is perfect for your Friday night celebration of Cinco de Mayo! 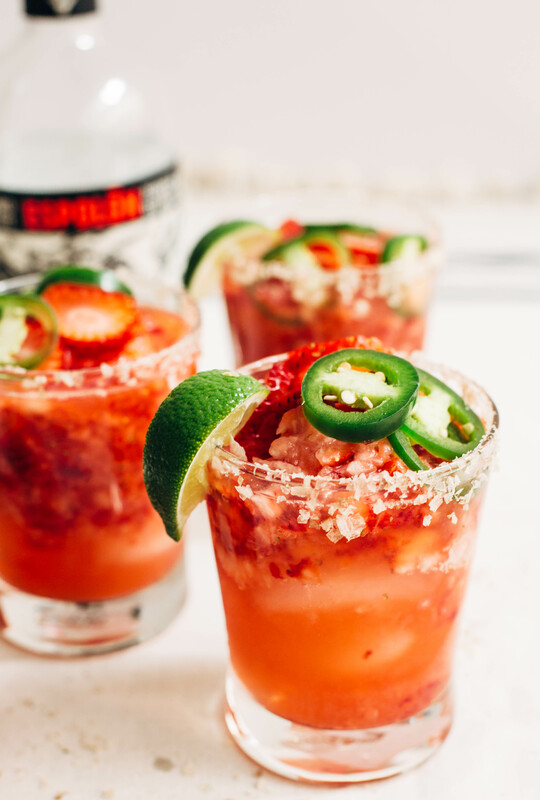 If you’re feeling extra daring, go ahead and blend the jalapenos in with the strawberries. I’m a self proclaimed wimp when it comes to spicy foods, so I opted just to top my margarita with jalapeno slices. And trust me, their spiciness still seeps through. Do you have a favorite margarita recipe? I’d love to hear! 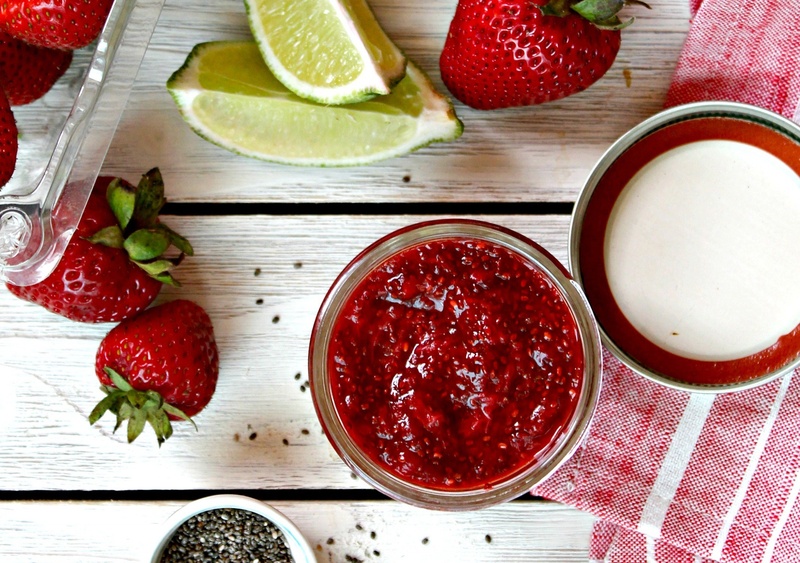 Blend the strawberries, lime juice, tequila, and orange liqueur in a blender. Blend until combined, but strawberries are still chunky. Use a lime to moisten the rim of your glass. Dip glass onto a plate of sea salt to coat the rim. Add ice and pour mixture into glass. 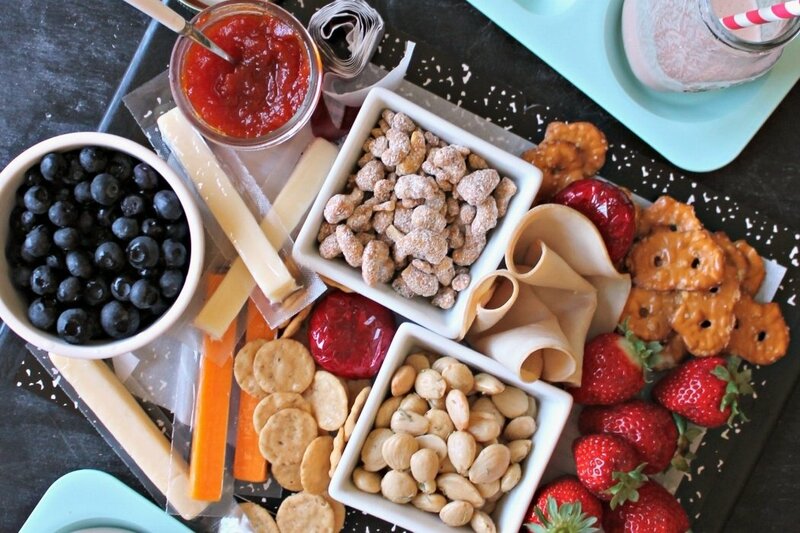 Garnish with a strawberry and jalapeno slices. 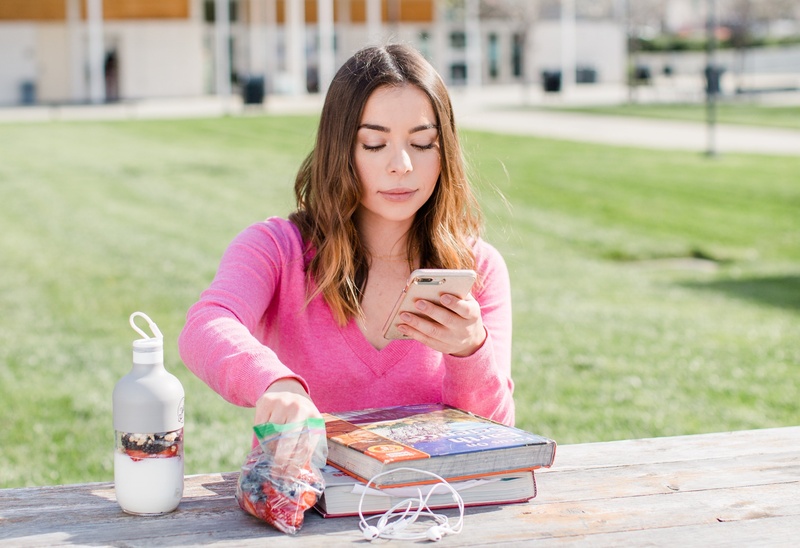 *If you want it extra spicy, blend some jalapeno slices in the mixture.